Aims: Dental hygiene and oral health status are essential components of health throughout life. The purpose of the study was to investigate the oral health-related behaviors and experienced teeth pain, as well as their correlates, among male schoolchildren in Saudi Arabia. Material and Methods: A cross-sectional study was conducted recruiting 10 elementary schools, Saudi Arabia. The total sample size was 725 schoolchildren (aged 7–12 years). Pretested structured questionnaire was used to collect the data using a multistage stratified-random sampling procedure. Univariate and multivariate regression analyses were used to examine the association between variables. Results: All of the children (100%) did not have the habit of using tooth flossing regularly. The majority (62.5%) of the children did not have the habit of daily brushing, and only 11.8% brushed their teeth twice or more daily. About 56% missed/skipped visiting dentists in the past 12 months and 34.5% of the children complained a frequent toothache. Daily teeth brushing was significantly associated with young age (odds ratio [OR] = 0.5; P < 0.001), consuming fruits daily (OR = 2.3; P < 0.001) consuming vegetables daily (OR = 2.1; P < 0.001), and visit to dentist in the past 12 months (OR = 1.6; P = 0.010). The frequent toothache was positively associated with daily consumption of carbonated drinks (OR = 1.6; P = 0.005), sweets (OR = 1.8; P = 0.009), and visit to dentist (OR = 1.5; P = 0.010), and inversely associated with daily dairy products consumption (OR = 0.7; P = 0.020). Conclusions: Children's oral hygiene and oral health status were found to be poor and associated with their dietary habits. Preventive school health programs are required for better adaption of oral health behaviors and to maintain good oral health status among children. Aim: Oral health is fundamental to general health and well-being. However, the sources of oral health information among Yemenis are limited. This study aimed to evaluate the oral health knowledge, attitude, and practices among secondary school students in Dawan Valley, Yemen. Materials and Methods: A descriptive cross-sectional survey was conducted among 392 secondary school students. Students were interviewed using structured questionnaires in Arabic. The structured questionnaires included inquiries on oral health knowledge, attitude, and practices. Chi-square test was used to assess significant differences in oral health knowledge, attitude, and practices with respect to gender. Results: The study population comprised 392 participants of 15–22 years' age group. Approximately 87% of students reported brushing their teeth daily. Girls showed better oral hygiene practices compared with boys in terms of daily brushing habit, brushing intervals, and toothbrush replacement (P = 0.001, 0.001, and 0.002, respectively). 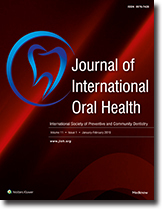 Statistically significant difference (in favor of females) was observed related to knowledge on the impact of dental diseases on the general health, toothbrushing preventing dental decay, sugar consumption possibly leading to dental decay, bleeding during brushing possibly indicating gum diseases, and effects of smoking and khat chewing on oral health (P = 0.009, 0.020, 0.001, 0.001, 0.002, and 0.023, respectively). Conclusion: The majority of students possess an adequate level of knowledge and practices on oral health, with female students showing predominance. However, regular visits to the dentist remain low among the study participants. Aim: This in vitro study aimed to evaluate enamel surface roughness after using burs and abrasive systems to remove residual resin after ceramic bracket debonding. 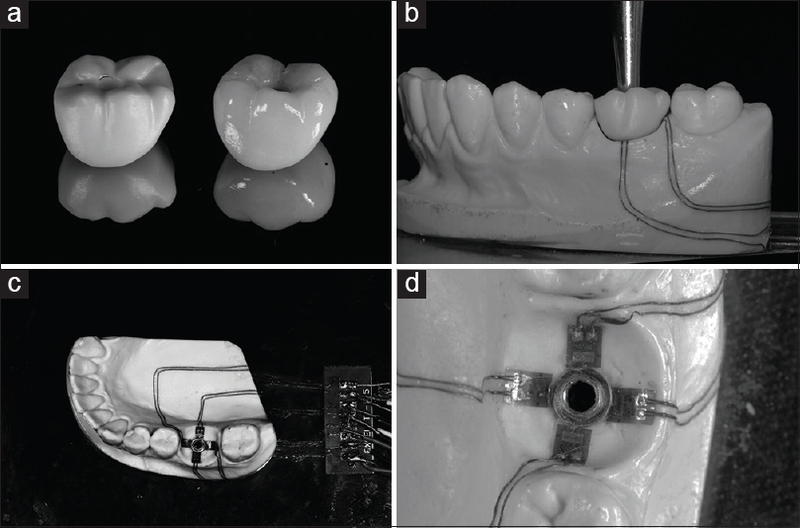 Materials and Methods: Ceramic brackets (Abzil/3M) were bonded to the proximal surfaces of 40 sound premolars using an orthodontic bonding agent (Transbond XT/3M). 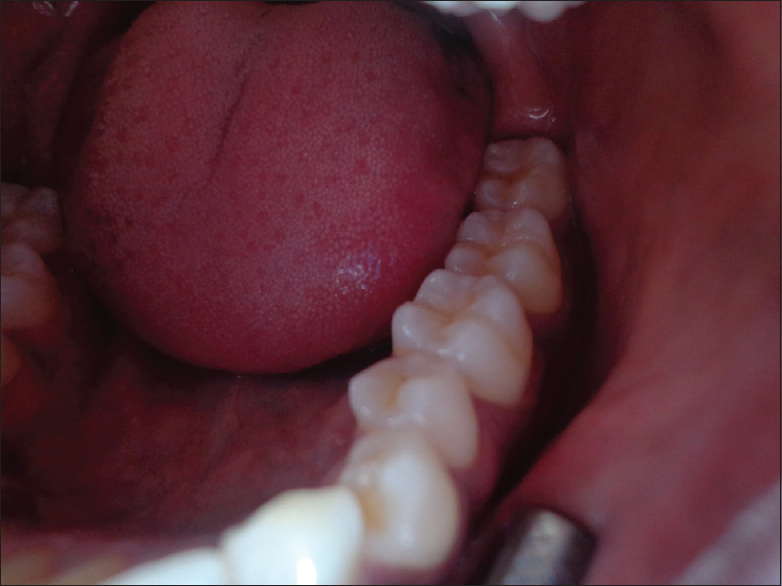 After 30 days, brackets were debonded. All surfaces were classified according to adhesive remnant index, and then distributed into four groups (n = 10) for the finishing procedures: (G1) Komet H22GK bur at high speed, (G2) Komet H379AGK bur at low speed, (G3) Orthometric CF375R bur at high speed, (G4) Orthometric CB27 bur at low speed. All surfaces were polished using fine sandpaper and felt discs with diamond polishing paste (Diamond Excel/FGM). Enamel roughness was measured with a roughness meter in sequential mode at baseline (before bonding); after rest residual removal and polishing. Multiple comparisons were made using the Tukey–Kramer Test, with a significance level of 5%. Results: Analysis with mixed models for repeated measures, and the Tukey–Kramer test showed no significant difference in mean roughness values between groups (P = 0.6168) at each evaluation time. After finishing, the mean roughness values did not differ significantly from baseline values (P = 0.5565). After polishing, roughness values were significantly lower than in all other times (P < 0.0001) for all groups. Conclusions: Different burs used at high or low speed provided roughness values similar to those of sound enamel. However, polishing produced lower roughness values on enamel submitted to finishing only, also when compared with sound enamel. Background: Based on the results of the preliminary research on mothers with fertile age couple, 56 people with a percentage of 65.9% had bad Simplified Oral Hygiene Index of the total sample of 85 people. Aims: This empowerment program aimed to provide counseling to mothers in the village; hence, they could find the benefits of disclosing agent and could make a disclosing agent and could detect dental plaque by using the disclosing agent. Subjects and Methods: This descriptive, analytical study conducted with 85 participants. Participants are given the theory of disclosing agents, practical demonstration, and evaluation how to make disclosing agent themselves. This research was quasi/experimental design approach, and statistical analysis software used IBM SPSS Statistic 25 (SPSS Inc., Chicago, IL, USA). Results: Participants could find the benefits of the disclosing agent, could make a disclosing agent, and could detect dental plaque by using the disclosing agent. Conclusions: Empowerment program ran well and conducive. Participants could understand the benefits of the disclosing agents. This can be seen from the enthusiasm of the fertile age mothers in paying attention to the material. Aims and Objectives: The objective of the study is to compare blended classroom methodology with the traditional didactic lecture for teaching dental undergraduate students. Methodology: This cross-sectional comparative study was conducted on 45 year 5 bachelor of dental surgery students at a private university in Malaysia. Students were divided into two groups. One group was assigned for a traditional didactic lecture and the other group for blended classroom methodology using “flipped class.” Lecture notes containing a PowerPoint presentation and related videos on the topic “Odontogenic Infections” were uploaded 1 week before in the university intranet, which was made accessible to students of the blended group, followed by an interactive classroom session. For the other group, a traditional didactic lecture was arranged by an oral surgeon using the same PowerPoint and video. An assessment was conducted for students in both groups 1 week later, and scores were compared. Data were analyzed using IBM SPSS 21. Chi-square and Student's t-test were used. P < 0.05 was considered statistically significant. 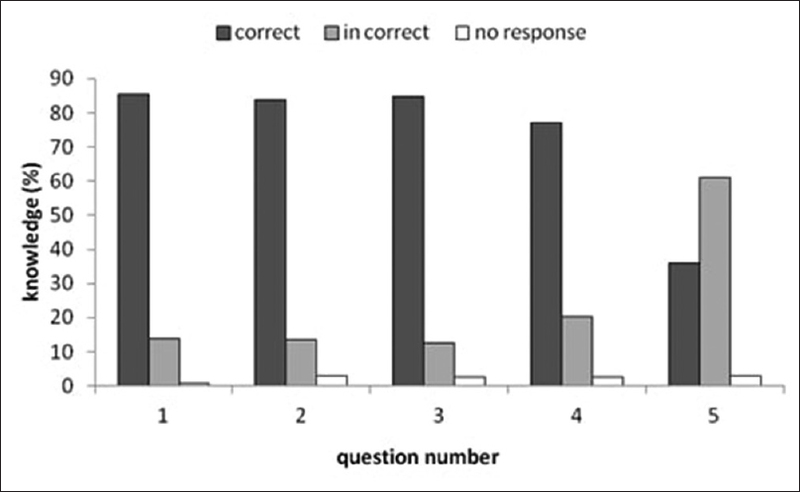 Results: A significant difference was found in posttest knowledge assessment between the two methods. While traditional didactic lecture showed a mean of 5.2 correct answers, the blended method showed a mean of 9.5 correct answers (P < 0.001) out of ten. Furthermore, the percentage of students with correct answers was more in the blended method as compared to the traditional lecture. Conclusion: The present study concluded that the flipped method was better than traditional lecture in teaching dental undergraduates. Background: Dental caries is chronic infectious disease affected by diet and cariogenic microorganisms. Streptococcus mutans is associated with the initiation of caries, and lactobacilli are associated with disease progression. 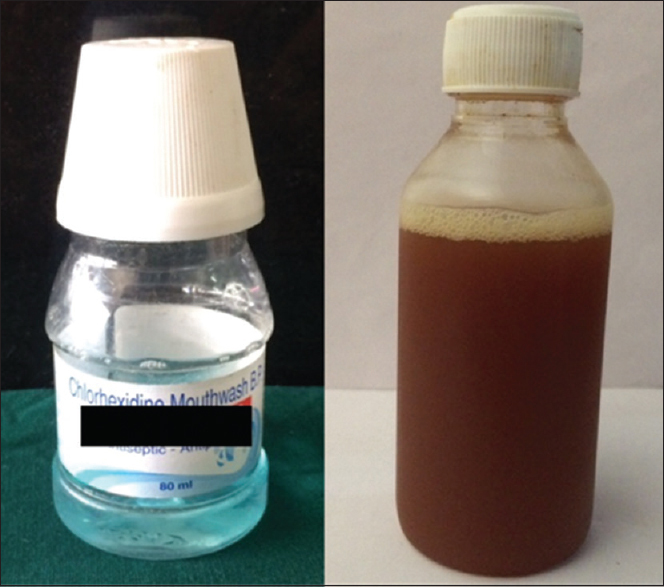 Chlorhexidine is used as a gold standard mouthwash, but it has some side effects such as unpleasant taste and staining on long-term use. Hence, there is a need for alternative to chlorhexidine. Herbal mouthwashes are more excellent option to chemical mouthwashes for prolonged use. Pomegranate is one of them with antimicrobial, antioxidant, and anti-inflammatory properties. Aim: The aim of this study was to assess the effect of pomegranate peel extract and chlorhexidine mouthwash on salivary pH in 6–8 years of age children. Materials and Methods: Thirty patients between the age group of 6–8 years fulfilling the inclusion and exclusion criteria were selected. Children were divided into two groups randomly. Fifteen children were given chlorhexidine mouthwash and 15 were given pomegranate peel extract and asked to rinse for it 2 min. Saliva was collected before the mouth rinse, 10, 30, and 60 min after the mouthrinse. The pH of each collection was noted using pH meter. Statistical Analysis: Statistical analysis was done using the ANOVA test and unpaired t-test. Results: Both the mouthwashes show significant rise in the salivary pH in shortened time. Conclusion: Pomegranate peel extract mouth rinse can be used as an accompaniment to prevent caries and to maintain good oral hygiene in children. Aims and Objectives: This study aims to compare the remineralizing effect of casein phosphopeptide-amorphous calcium phosphate (CPP-ACP) and fluoride varnish (FV) on the body of carious lesions in surface enamel. 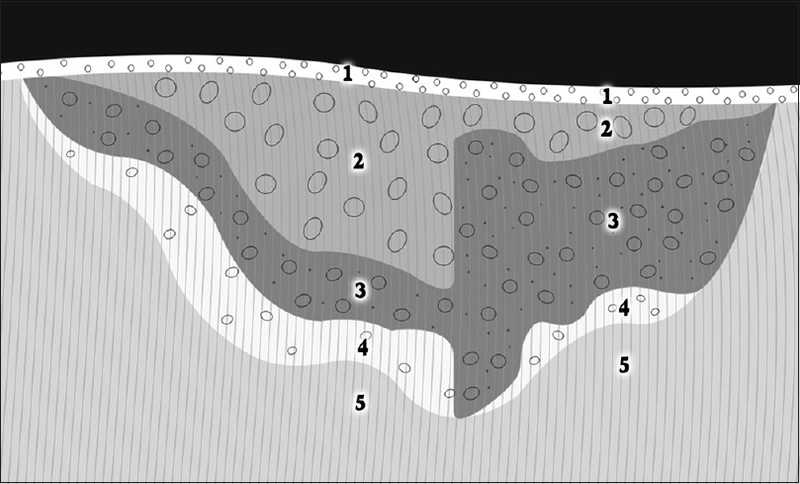 Materials and Methods: Two 3 mm × 3 mm areas on 37 samples of recently extracted human tooth enamel were demineralized to create artificial early carious lesions on the enamel following the methodology described by ten Cate and Duijsters. The areas were assigned randomly to two groups on which either CPP-ACP or FV were applied, after which they were subjected to a pH-cycling model to simulate intraoral conditions. Then samples were prepared for evaluation under a polarized light microscope. Data were analyzed using Student's t-test for related groups, with the SPSS statistical package. Results: No statistically significant difference was found in the depth of the body of the lesions between groups following 10 days of pH cycling. Conclusion: It was concluded that both therapeutic systems provide preventive and ultrastructural restorative treatment options which could be included in health-care policies for preventing early carious lesions. 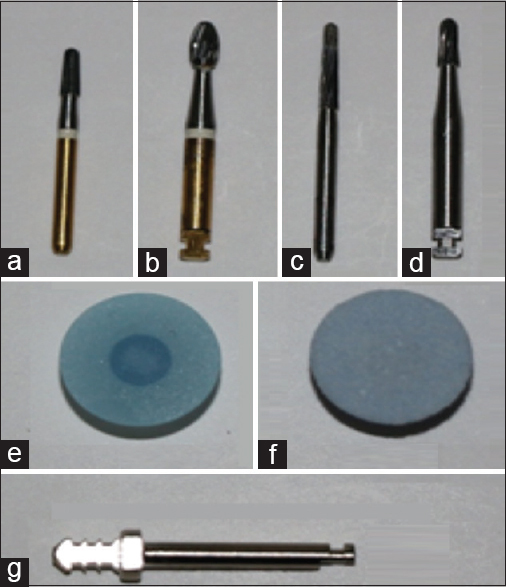 Aims: This study aimed to evaluate the influence of the crown type on the cervical microstrain around an external hexagon implant. Subjects and Methods: A dental manikin was impressed with addition-polymerizing silicone, and a hemiarch model was obtained with polyurethane resin. Then, a 3.75 mm × 11 mm implant was installed with 40 N/cm of torque in the region of element 36. Two groups were separated according to the type of crown used for rehabilitation: metal-ceramic crown (n = 10) or monolithic zirconia crown (n = 10). All crowns presented similar anatomy, with contact point in elements 35 and 37. Then, the polyurethane model was cleaned with isopropyl alcohol, and four strain gauges were bonded with cyanoacrylate adhesive in different areas (bucccal, lingual, mesial, and distal) around the implant. The crowns were installed with 20 N/cm torque, and an axial load (30 kgf) was applied in the center of the crown. Statistical Analysis: After performing 10 readings in each specimen, the data were analyzed by two-way analysis of variance and Tukey's test, all with α = 5%. Results: The results showed no statistical difference for the microstrain between the analyzed crowns (P = 0.065), and the microstrain values were different according to the area (P = 0.002): buccal (1514.9 ± 233.8) > lingual (1280.8 ± 245.5) > distal (373.2 ± 105.2) > mesial (216.7 ± 111.4). Conclusions: The crown type did not modify the microstrain in the peri-implant tissue.